Being a gardener at this time of the year in New York is a bit like being a childless parent. You feel all the responsibility without having anything visible to care for. The leaves have fallen, the soil is frozen ( at least it usually is – this year is exceptionally warm ) and there is nothing to prune or potter with. However, this weekend provided a new opportunity for nurturing. 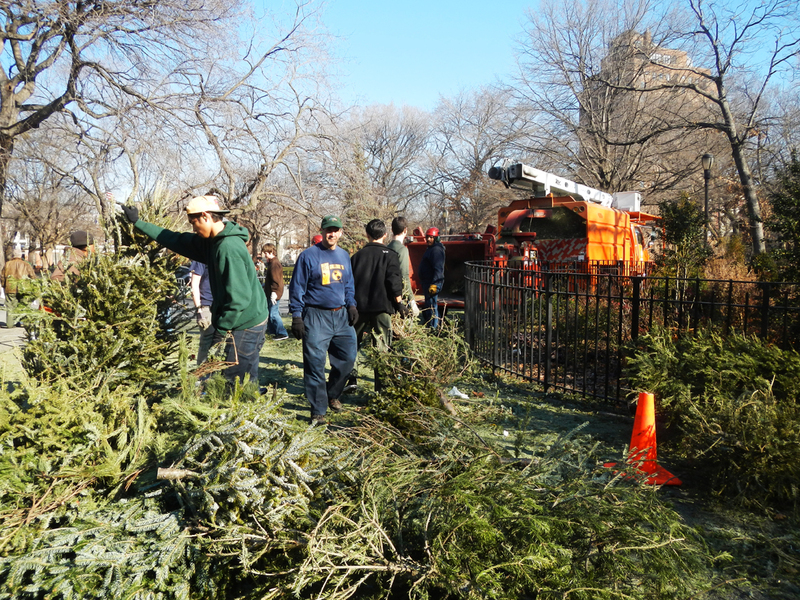 Riding through Tompkins Square Park yesterday we were suddenly surrounded with the superb smell of fresh pine. 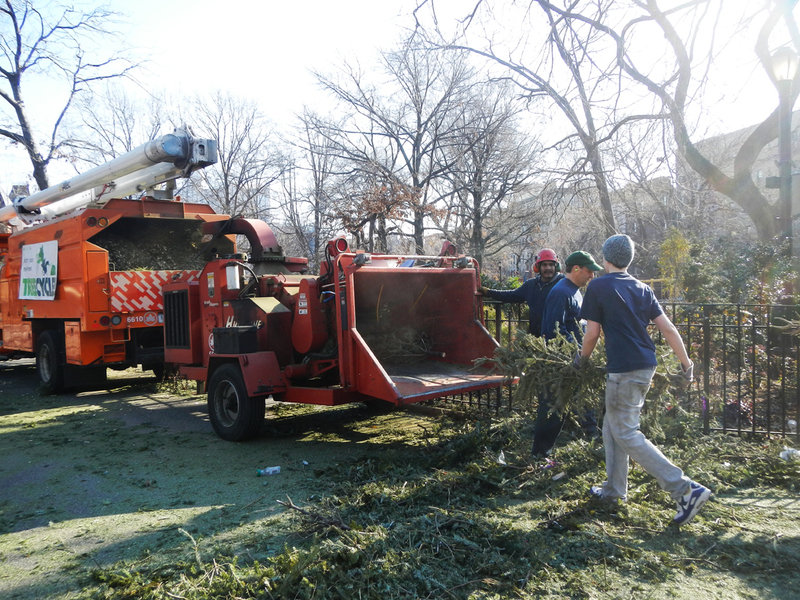 We followed our noses and found a community event, where people were invited to bring their undecorated christmas trees for the park people to shred. The park would then use what they could for their own purposes and the rest was up for grabs. 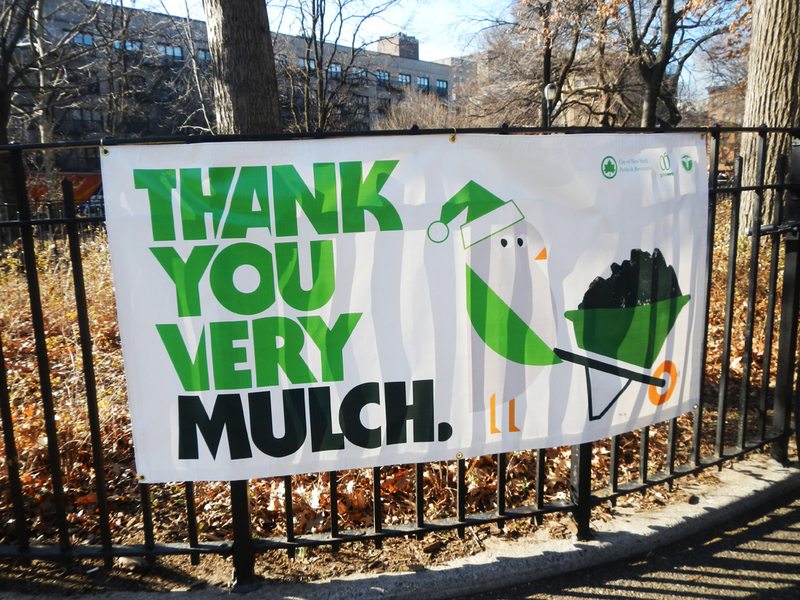 Even if you didn’t have a tree to offer, you were encouraged to bag up the mulch and take it home. 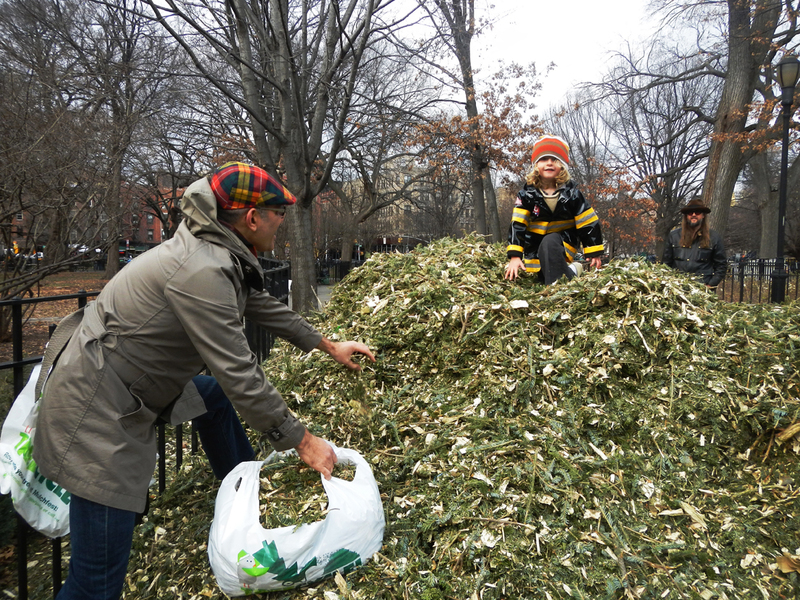 So that’s exactly what we did, inspiring an unprecedented mid-winter gardening spree. The result is Norsca in Mid-town. Julienne of Christmas tree , which includes the occasional glimmer of tinsel, blanket my plants inside and out and the smell is to die for. It is gloriously satisfying to have had an afternoon talking to my sleeping garden, and just in case winter does come, everyone is rugged up in festive attire. Christmas lives on in the Big Apple!